After getting promoted recently, I decided to promote myself in case of my ride too and so I went looking forward to buying a SUV this time but the task was not an easy one since I was pretty confused with the variants available in the market today. Yet my search ended when I went on to checking out the Mahindra XUV 500. That was it, the very first time I stepped into this giant, I told myself I am surely buying this whatsoever. The exteriors seem wondrous and the interiors are a delight to my kids. When it comes to engine and performance, I am simply out of words with this massively powerful giant. It has a pickup like no other and I have already tested the highways while I went all over from Delhi to Ahmadabad. It was no doubted a huge distance but seemed nothing like fatigue at all. With a redefined spacious arrangement and the awesome comfort with the cabin, it is a delight to be seated in the car. The power steering should be called super power steering and the braking is exceptionally brilliant. Although it is just the base model of the car being the W6 but is better than the highest model of any other car, when it comes to luxurious aspects like the amazing stereo system and console. Safety features inside the car have been well taken care of with the driver and passenger airbags in place. It is surprising when it comes to mileage; it was phenomenal in delivering a decent 15 Kmpl on my way to Ahmadabad. I can simply go on and on praising my XUV 500, the only thing a little bit negative is the cost but then not every cloud has a silver lining. Exterior look- Excellent design & finishing in front & rear as well as both sides. After hearing various kinds of comments on XUV-500,I am also confused whether to buy xuv-500 w8 model or go for some other SUV like tata safari or Innova.I have read a lot about Brake problem in XUV-500. 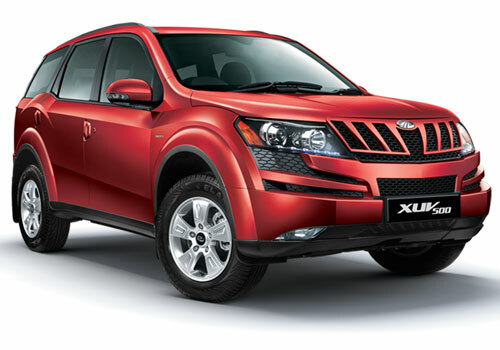 Overall,Mahindra XUV 500 is good for every person.